ALBERTA – Suncor Energy said on Jan. 30, 2018, that it will phase in autonomous truck haulage at all the projects it operates, starting with the North Steepbank oil sands mine. Over the next six years, the program will be phased in to include 150 trucks with implementation staged one mine at a time. Autonomous haulage has been studied for four years, and the company says it can be used safely, effectively and efficiently. The technology also has lower operating costs than existing truck and shovel operations. The greatest advantage of autonomous trucks is that they operate predictably, have prescribed route mapping, and employ obstacle detection systems. Reducing the interaction between people and equipment decreases accidents and potential injuries. Suncor said it realizes that switching to automated haulage will change the roles and skill sets for some of its employees over time. It pledged to continue working with its unions to minimize workforce impacts, however it does not anticipate cutting the number of heavy equipment operators this year. 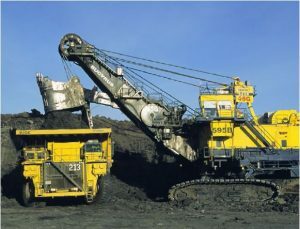 Learn more about the mines that Suncor operates at www.Suncor.com.